The 7th Annual 2 BLOCKS OF ART art walk and block party is scheduled Friday, October 13th, 2017 from 5 p.m. to 9 p.m. Ende Collective will be located with our friends Design Like Whoa! at their brand new SOMA Street HQ on 531 Jessie Street. 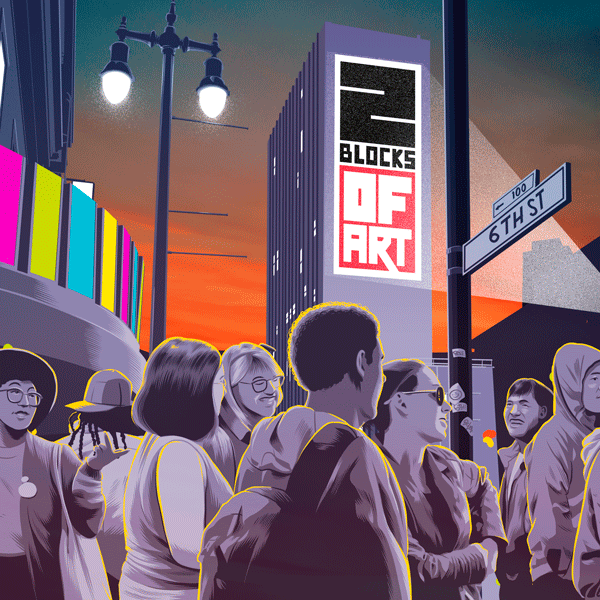 As with the six previous years, this free event will bring over 75 artists in some 25 locations on two blocks, 6th Street from Market to Howard Streets. The art walk will feature a range of art exhibits and live performances in galleries, bars, restaurants, a laundromat, coffee shops and a number of other storefronts.